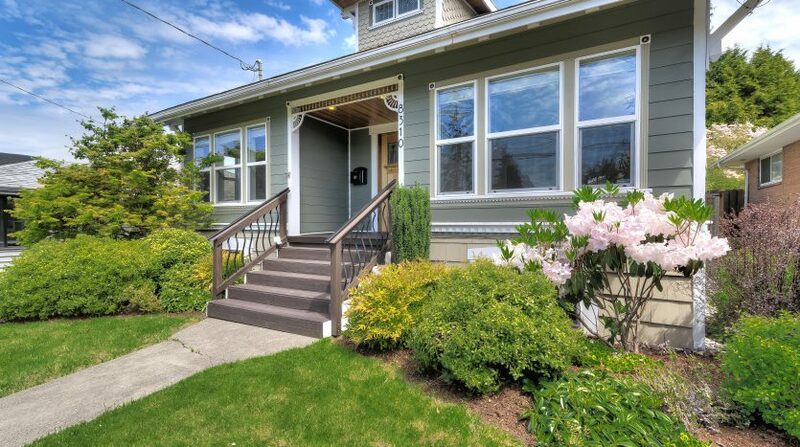 This incredible updated Sunset Hill home with 4 bedrooms and 3 full bathrooms is located in the nexus of Sunset Hill and Loyal Heights. 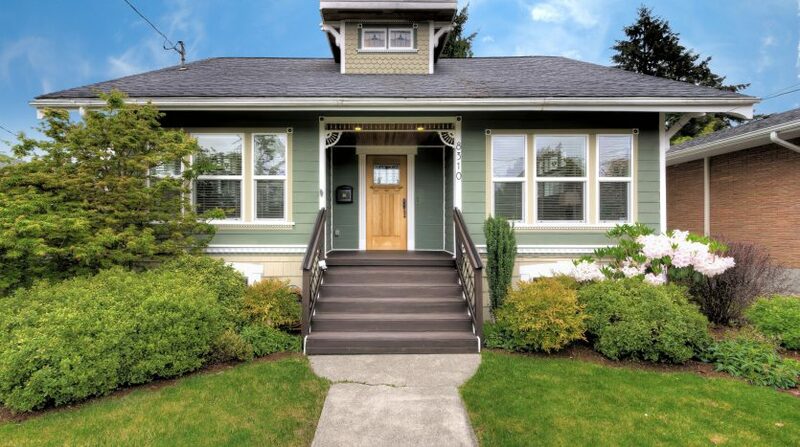 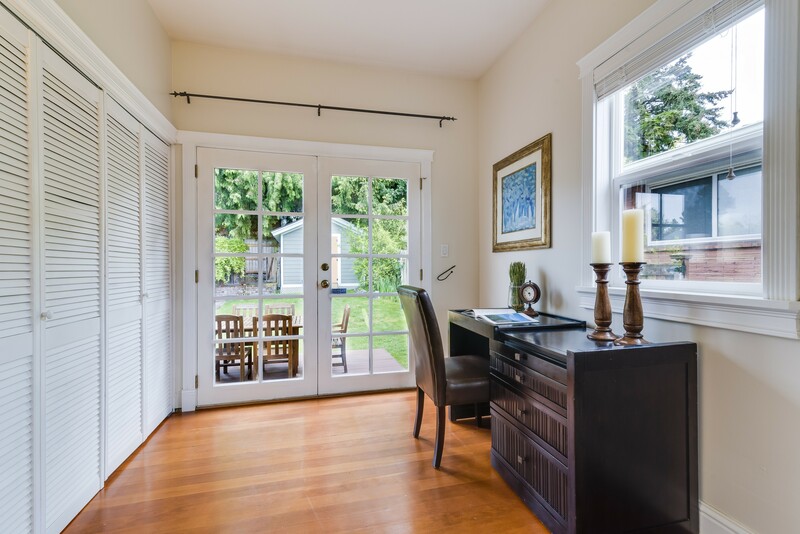 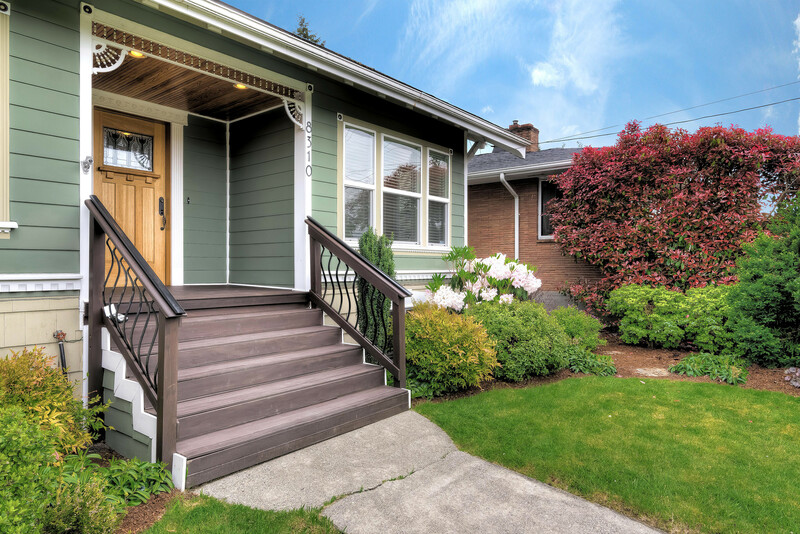 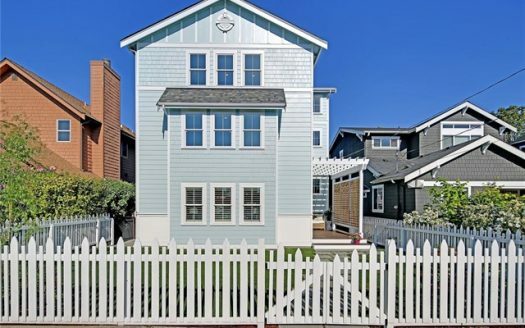 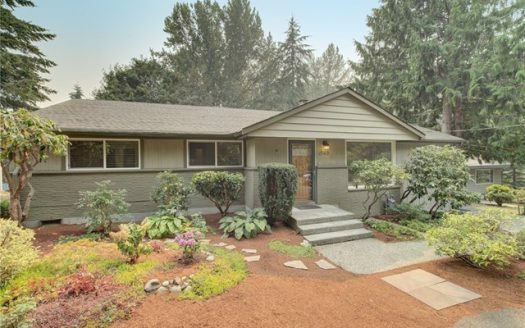 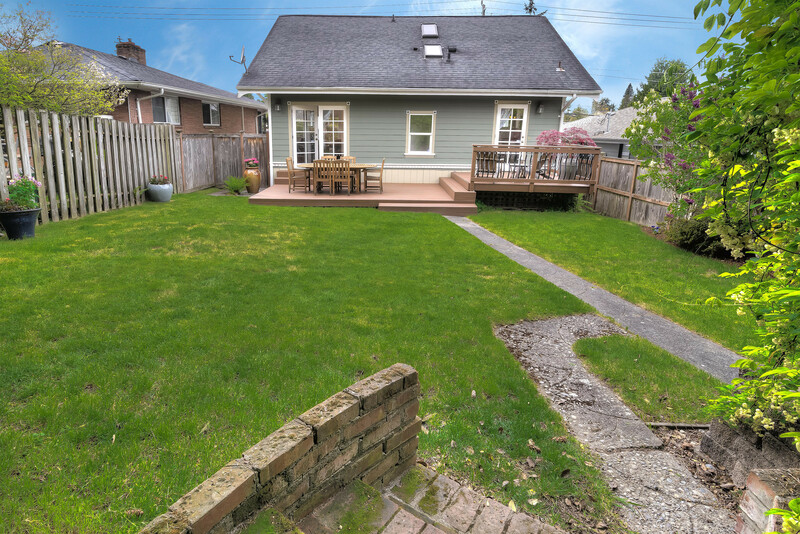 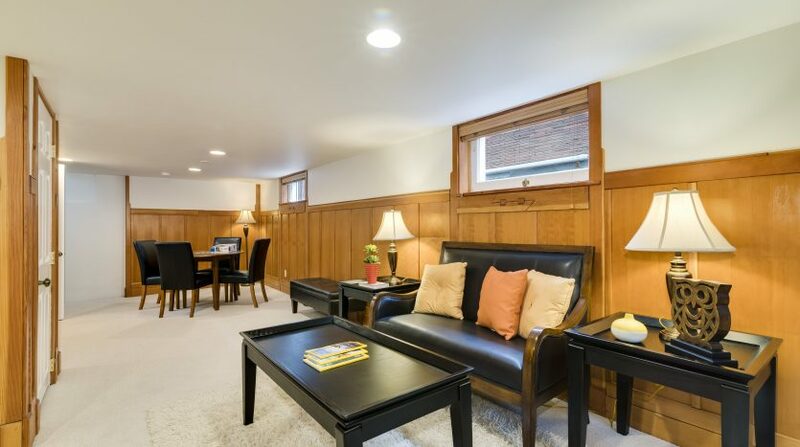 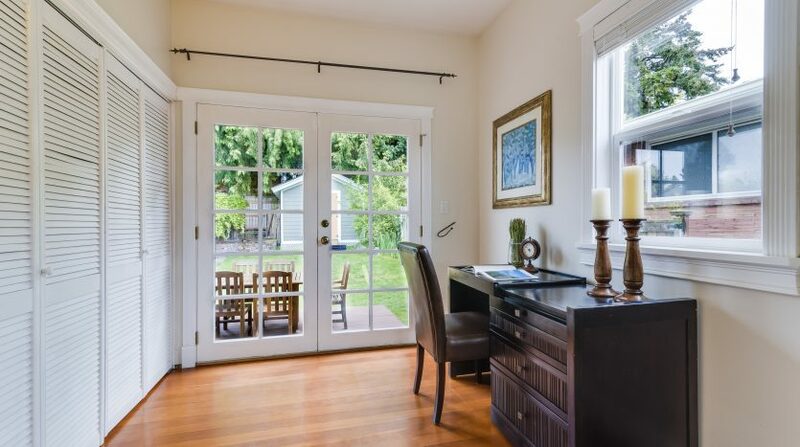 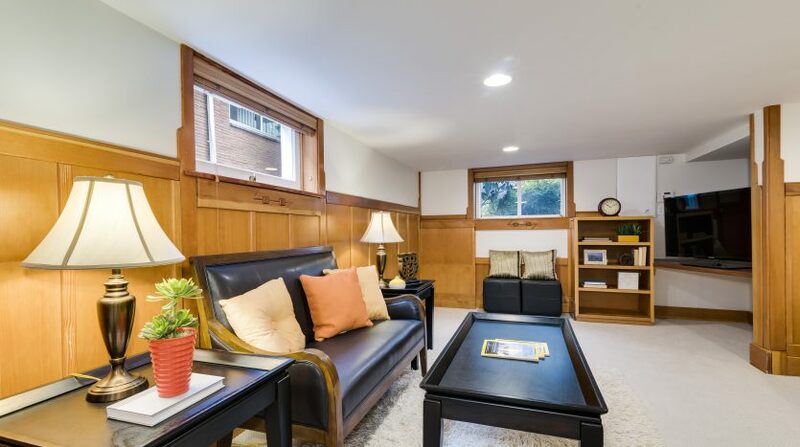 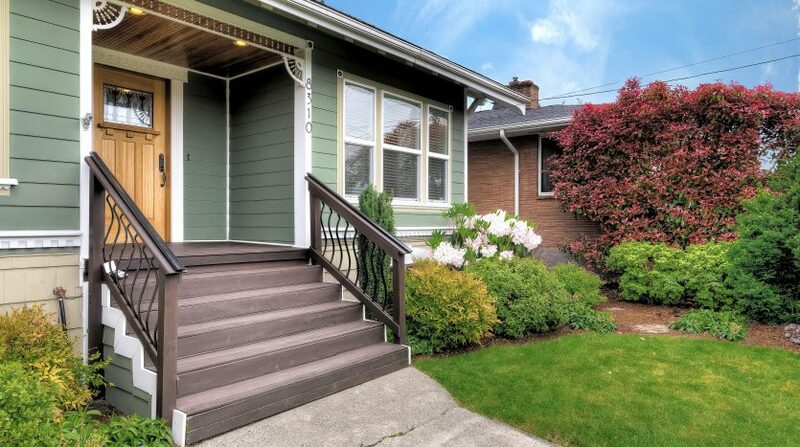 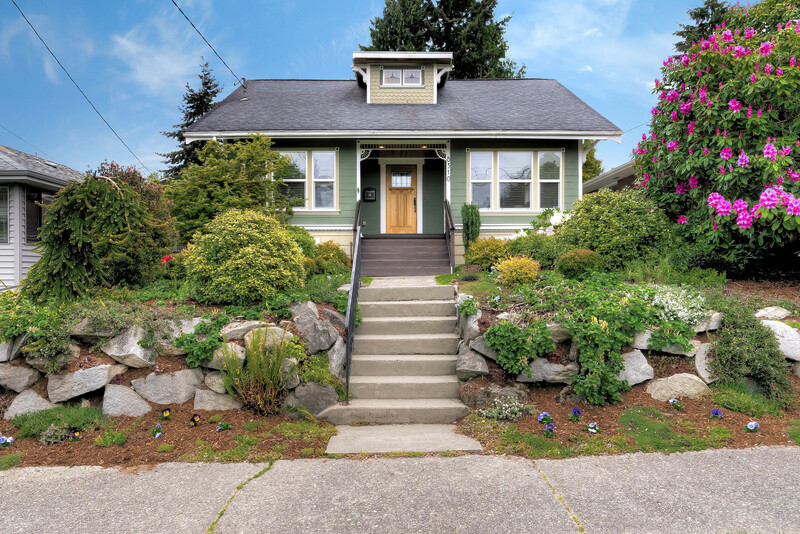 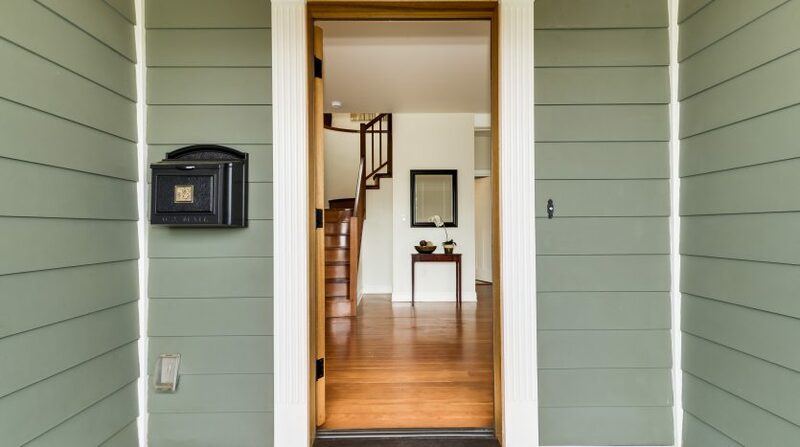 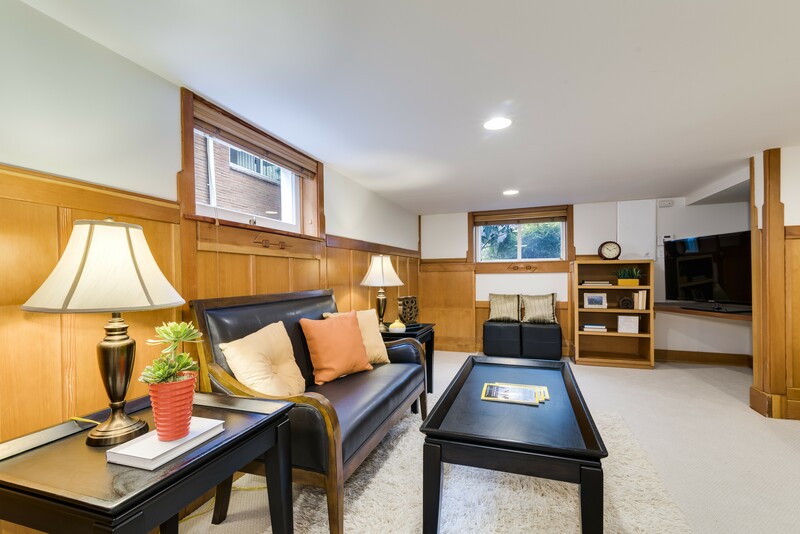 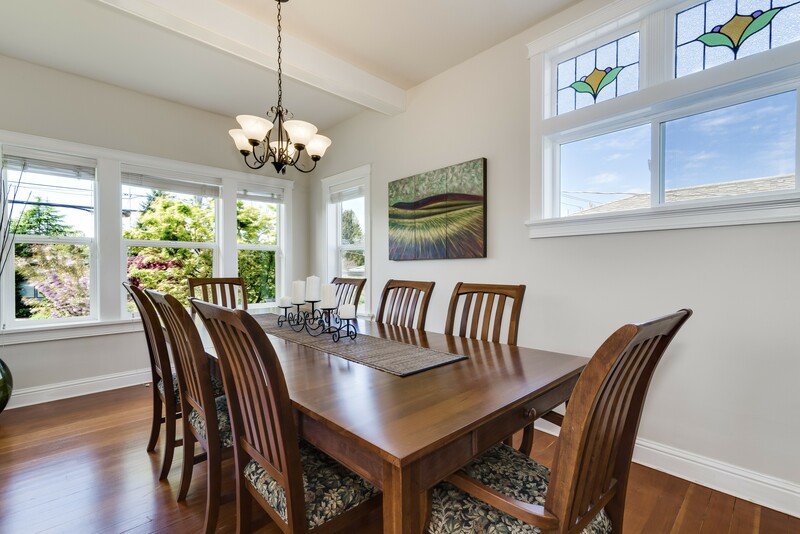 Near to the vibrancy of Ballard’s restaurants, cafes, bars and events like the Ballard Seafood Fest and year-round Farmers Market, but far enough away to be in a quiet tranquil neighborhood, you will have the best of both worlds here. 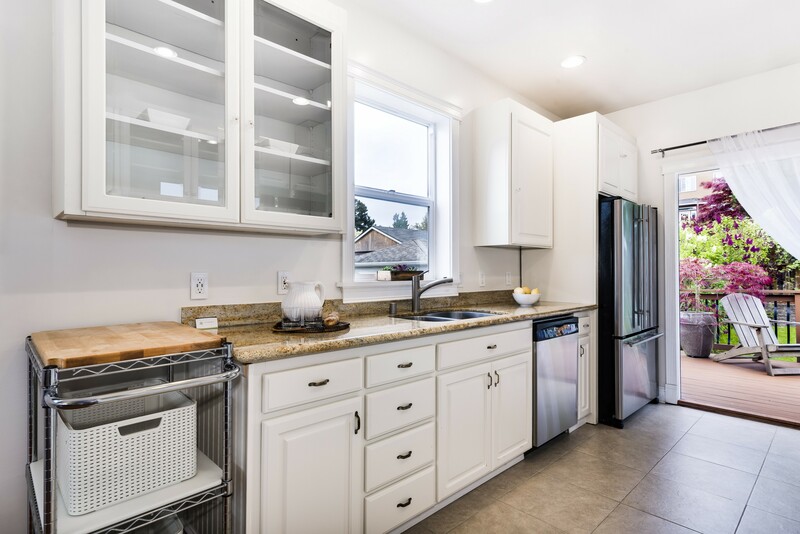 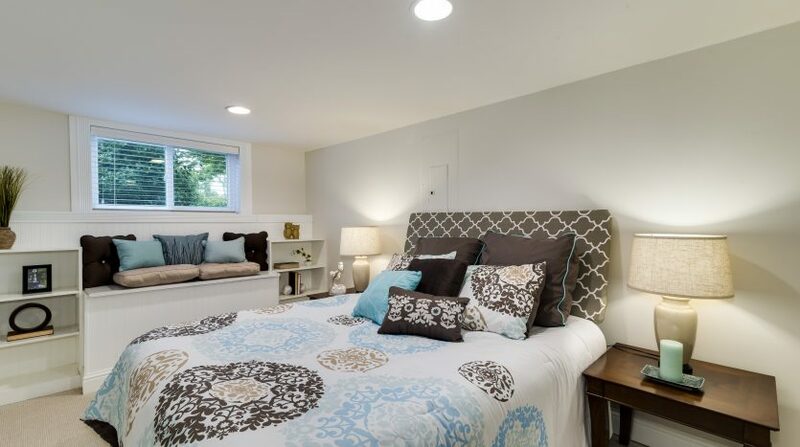 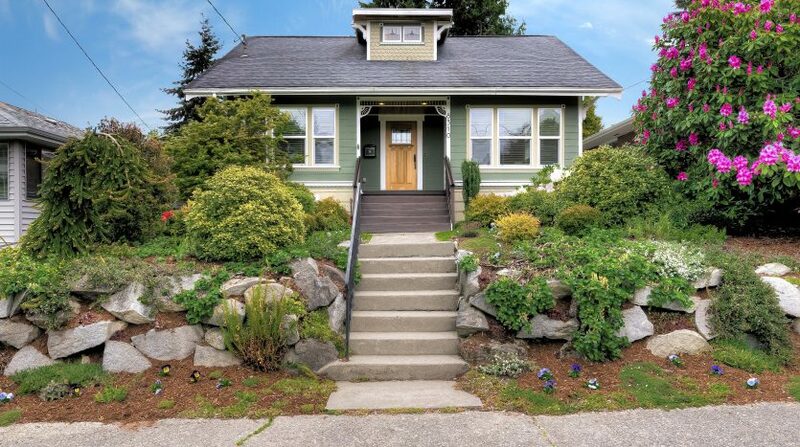 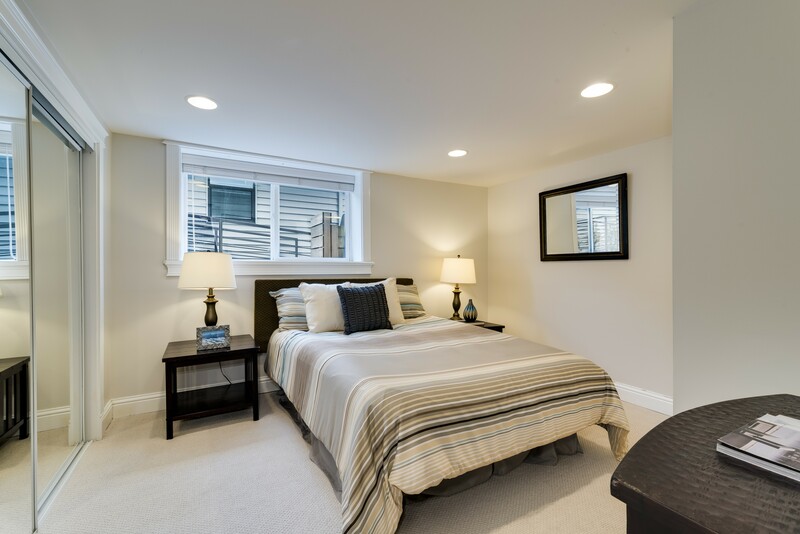 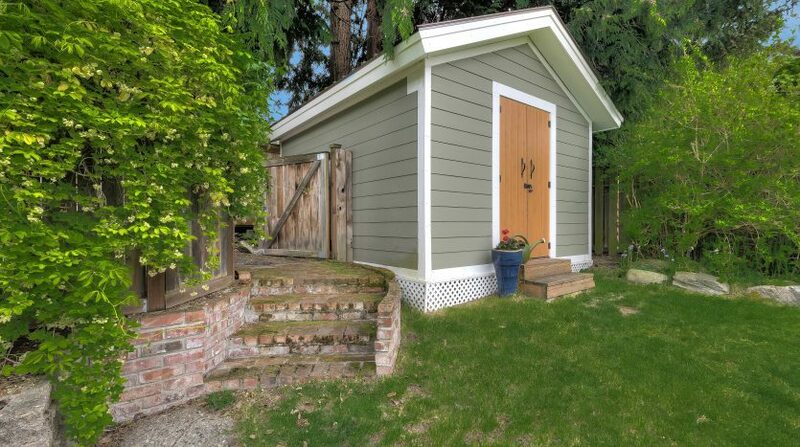 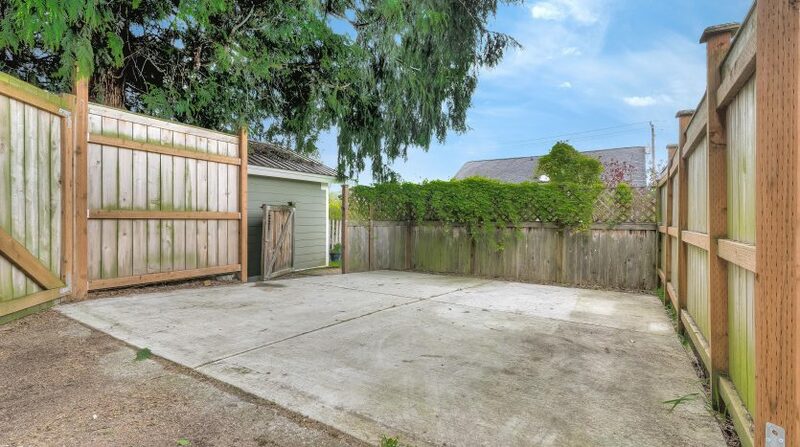 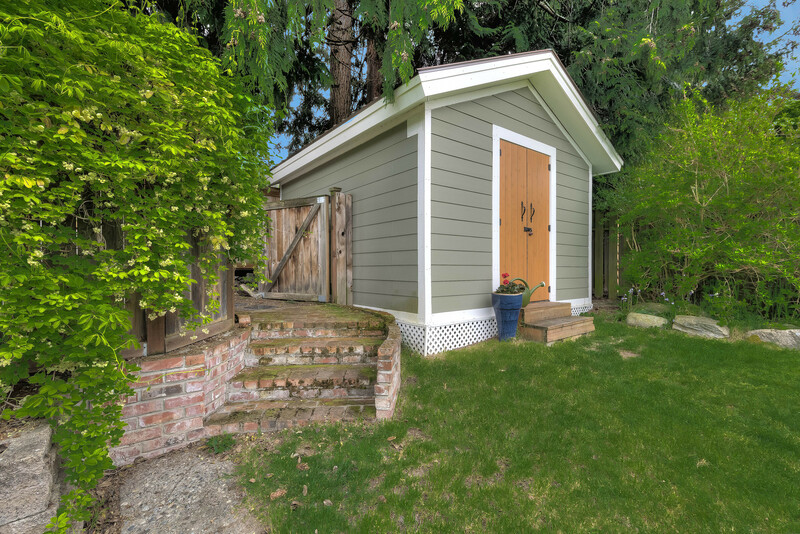 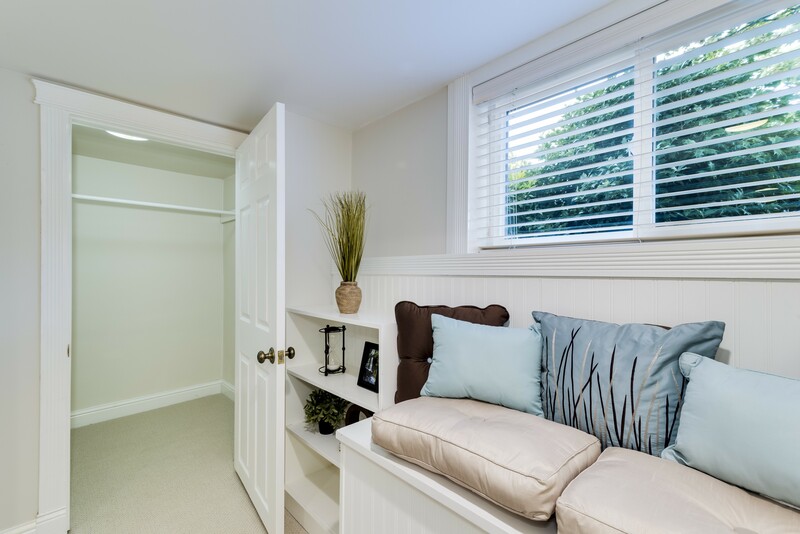 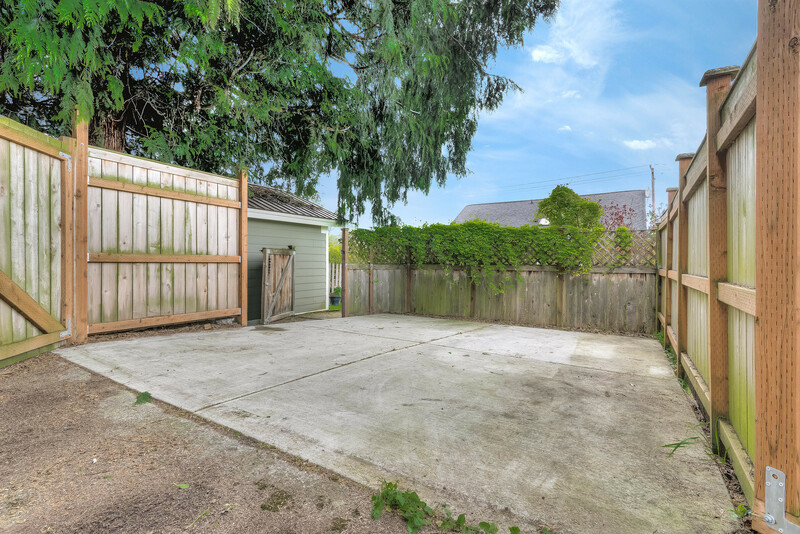 Add to that proximity to one of Seattle’s only sand beaches at Golden Gardens and you will have everything you could want right at your fingertips. 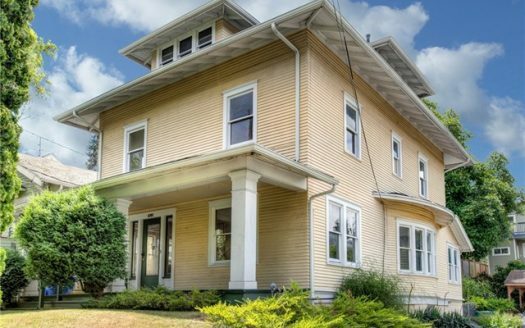 A home like no other, this exquisite house has a beautiful balance of old-world charm and modern updates. 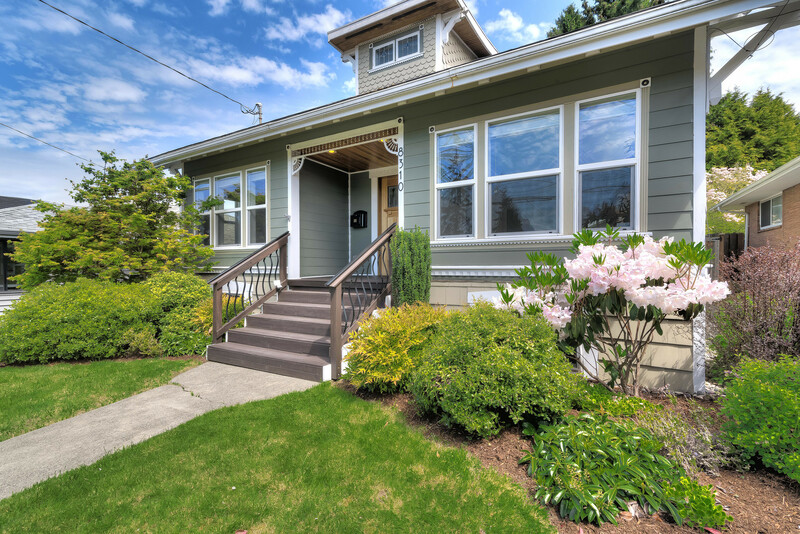 A lovely colorful yard leads the way up to this charming home with architectural details of stained glass windows and decorative corbels. 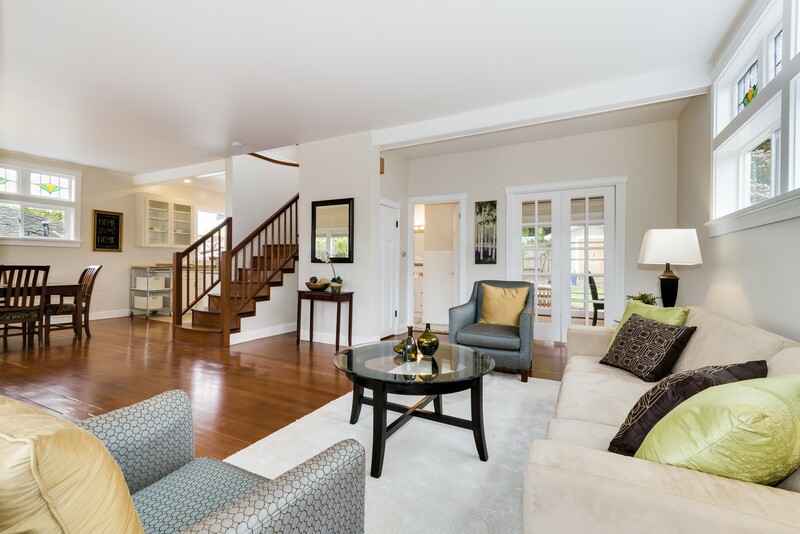 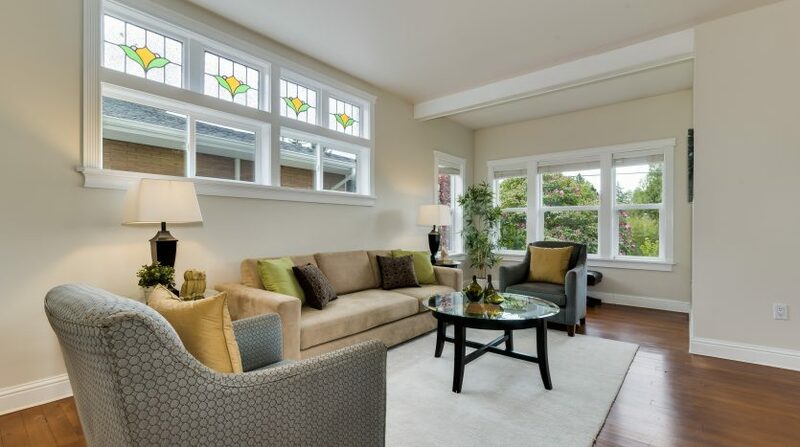 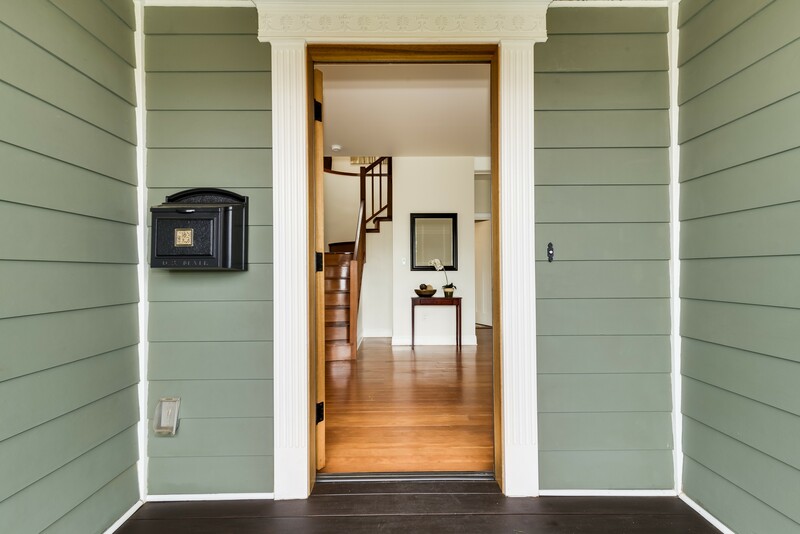 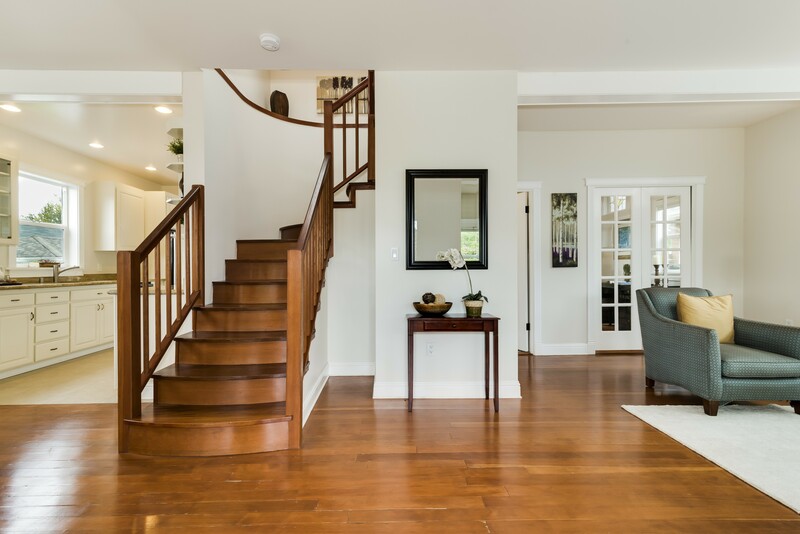 Once inside you will enjoy the reconditioned old-world craftsmanship of original hardwood flooring and wood work combined with modern finishes of granite and stainless. 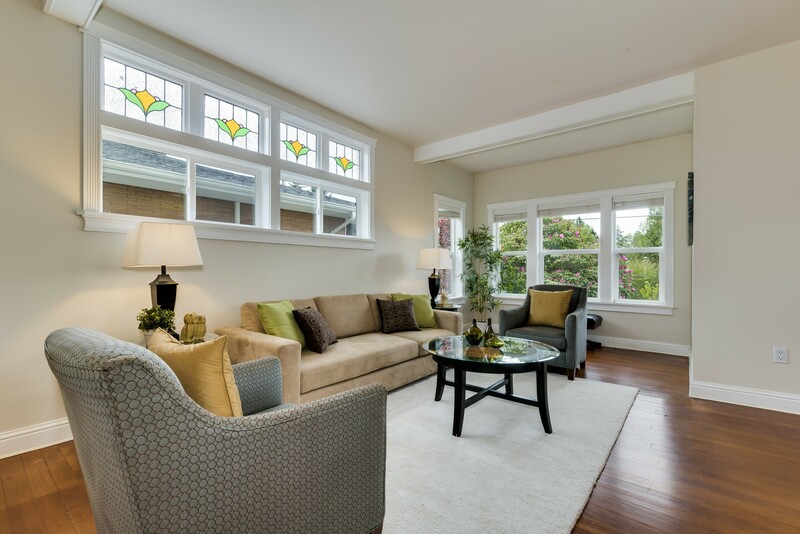 The living space is large and the corner windows flood the space in light. 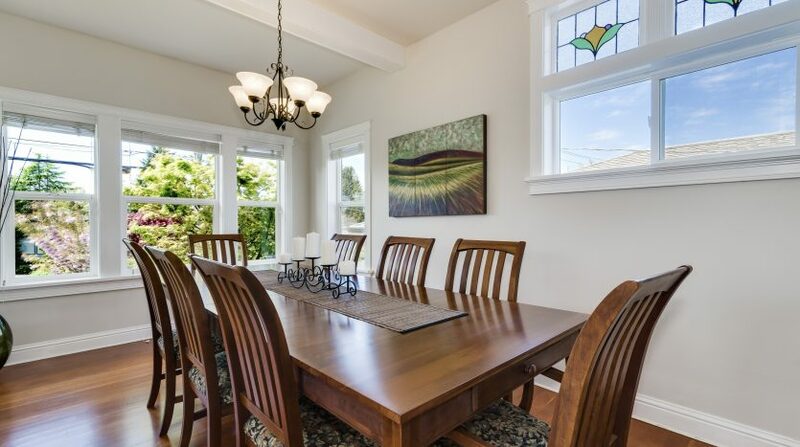 A massive dining room flows into the upgraded kitchen any chef will love. 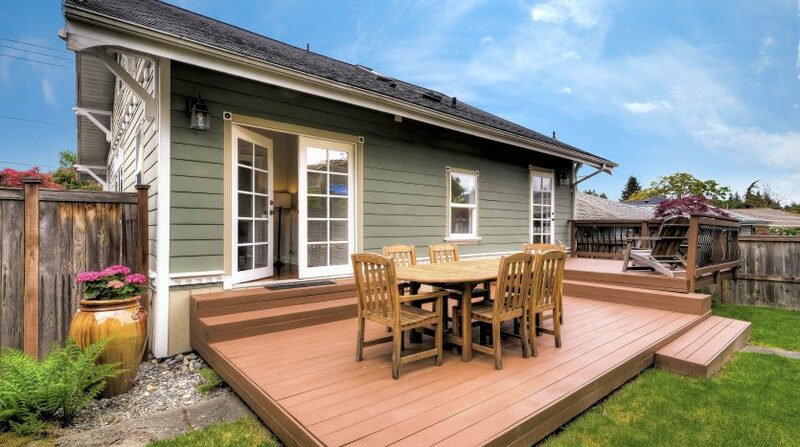 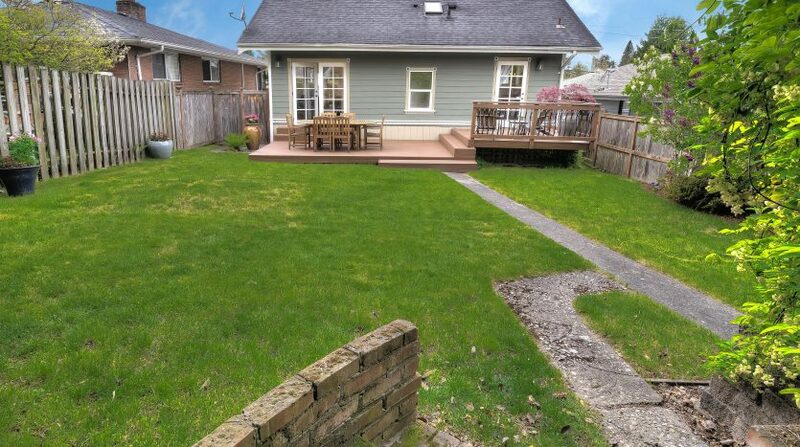 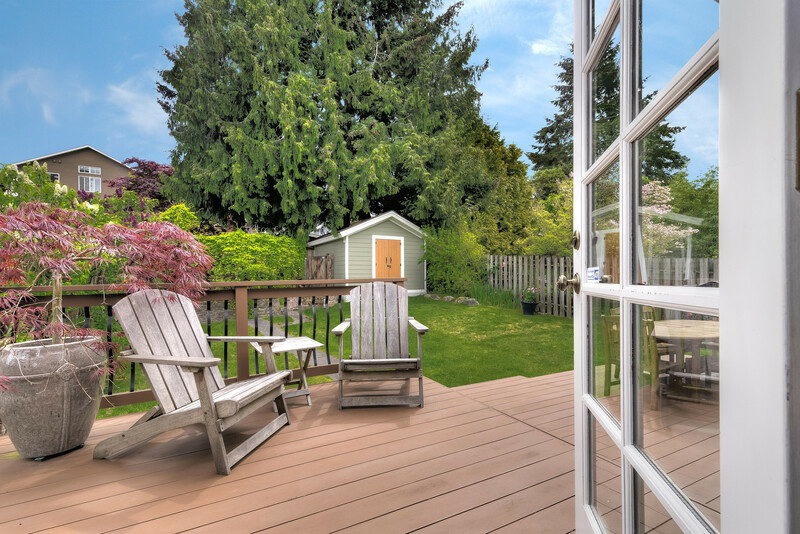 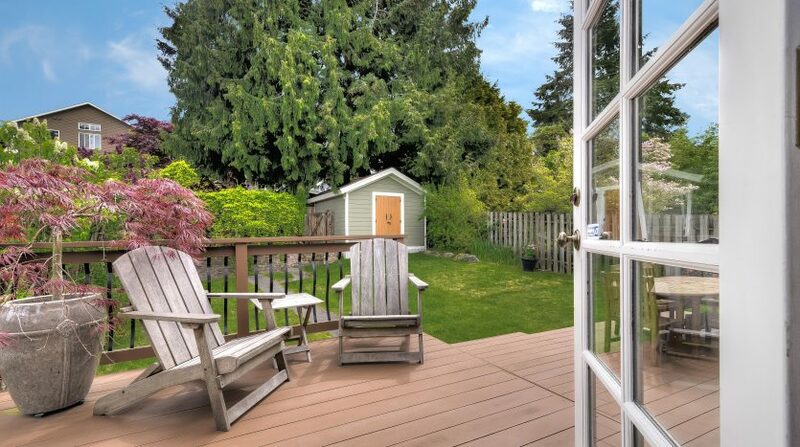 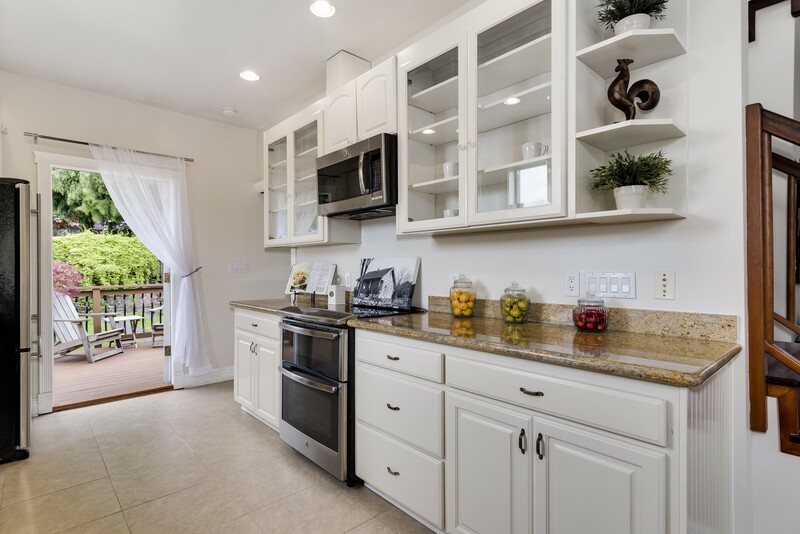 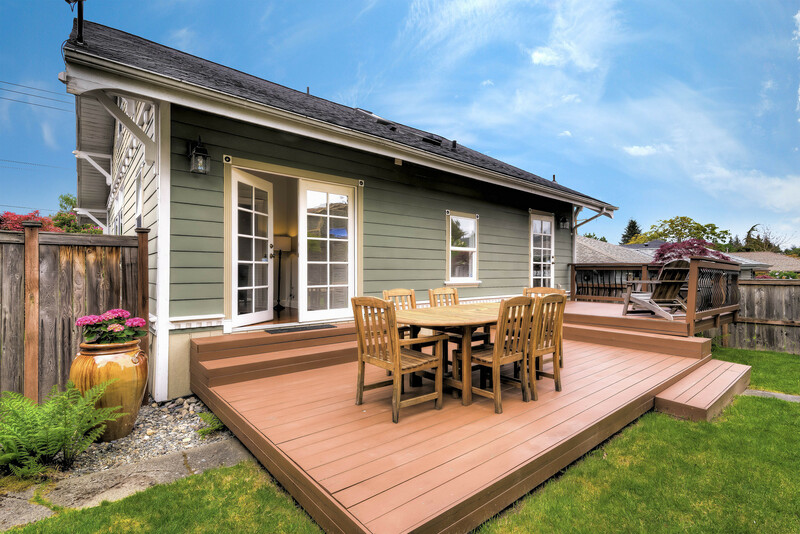 With access through the kitchen to the deck and level sunny yard, you will have the perfect flow for summer BBQs. 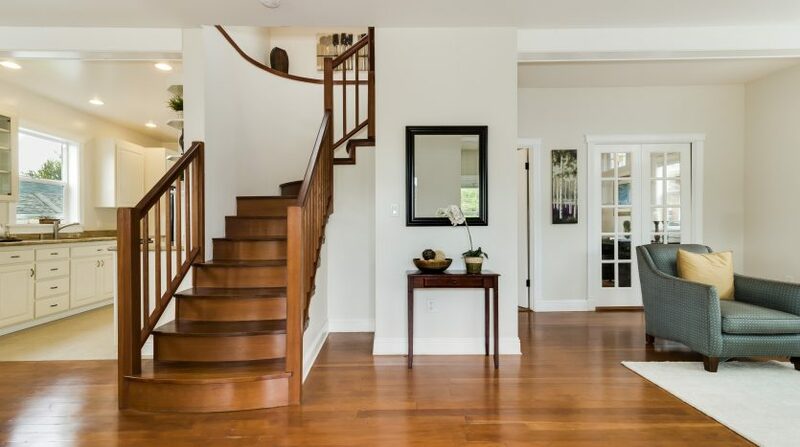 The centerpiece of the entertainment level is the Mahogany stairway, which curves gently up to the second story. 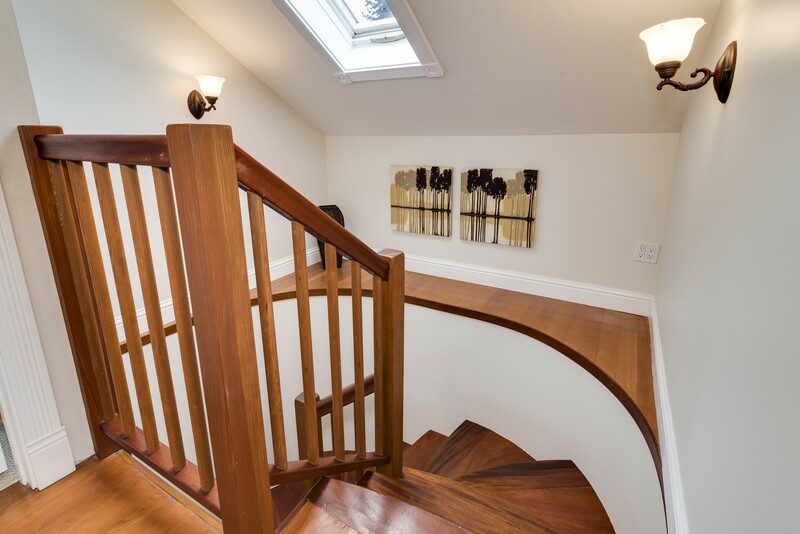 Rumor has it, a local Ballard shipbuilder designed and built this staircase, hence its unique nautical feel. 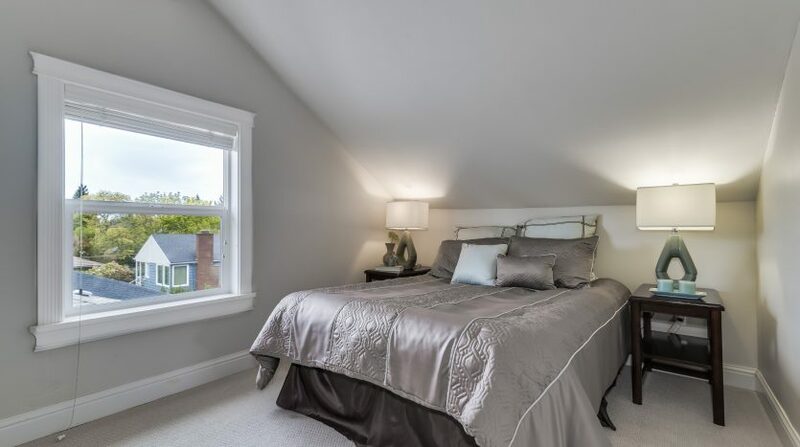 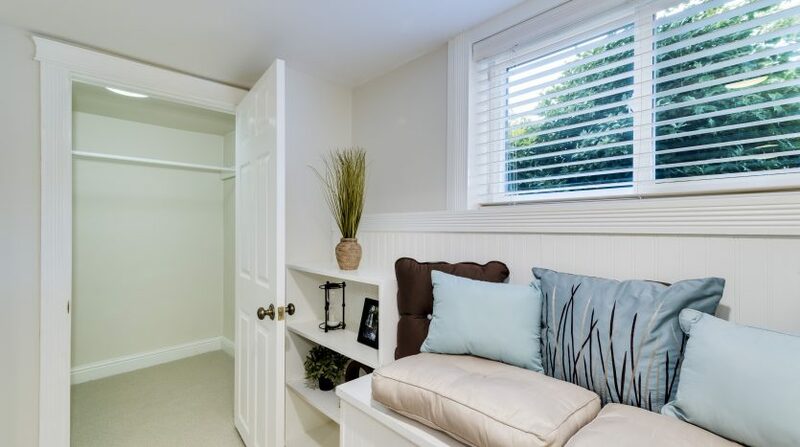 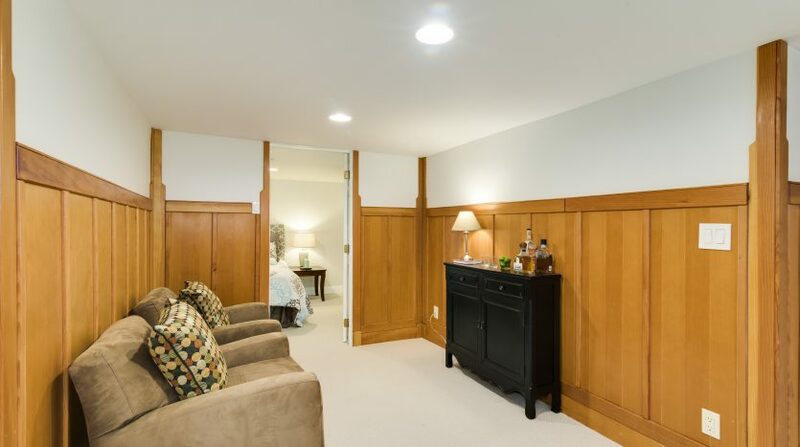 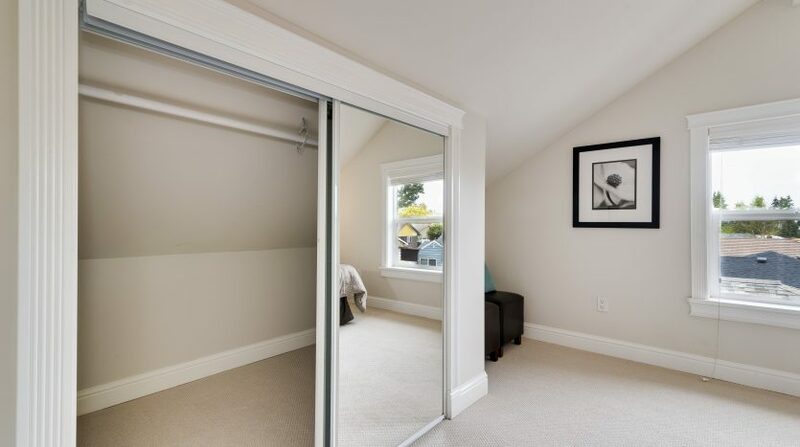 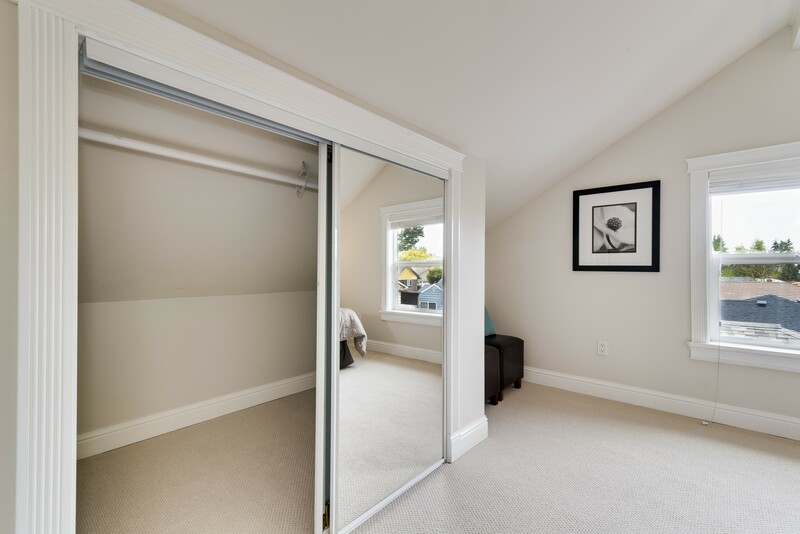 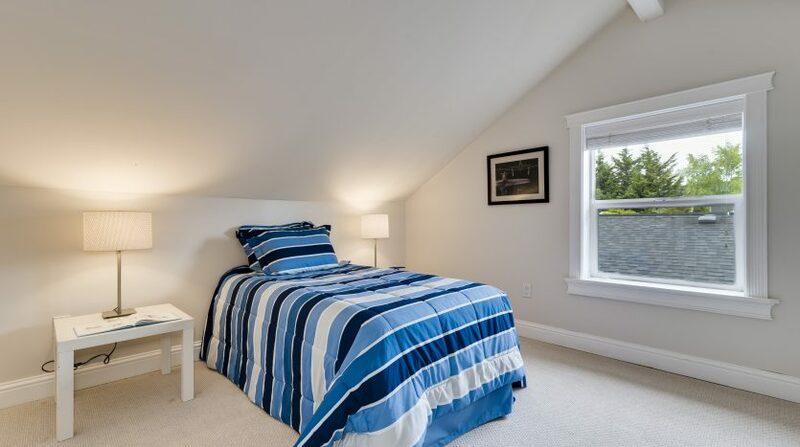 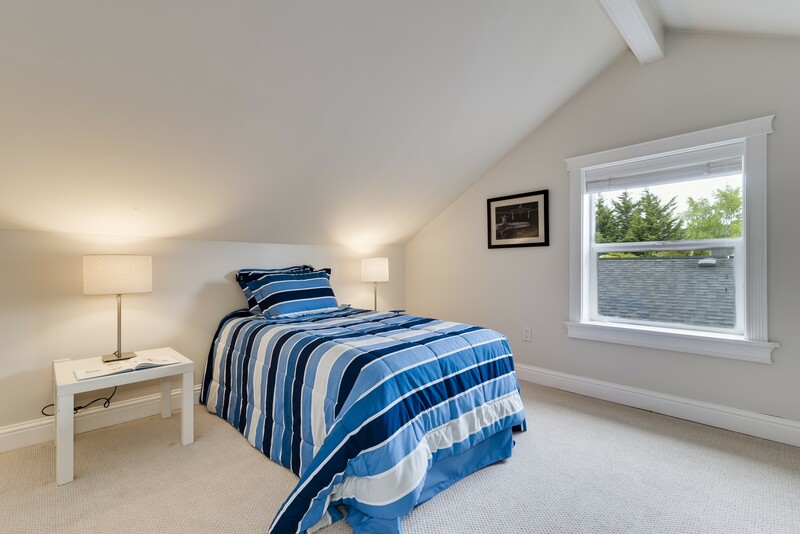 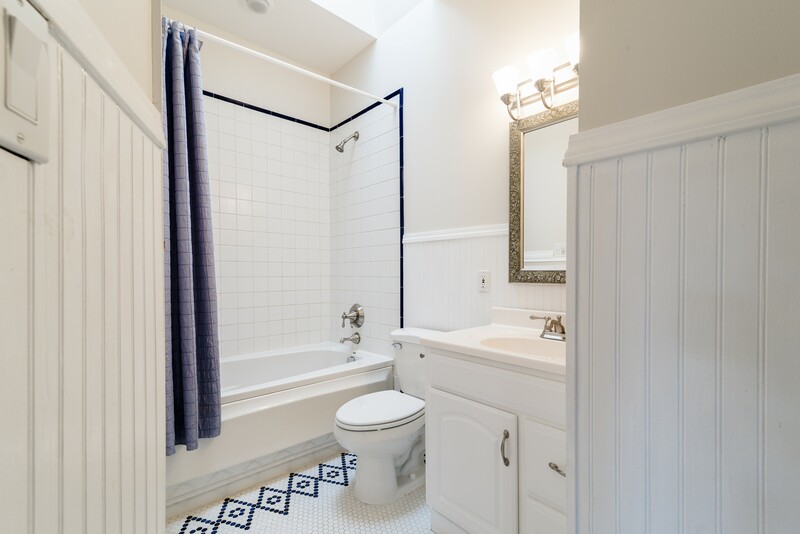 A den with French doors leading out to the yard and a full bathroom with great storage, a jetted tub and a bright skylight round out this level. 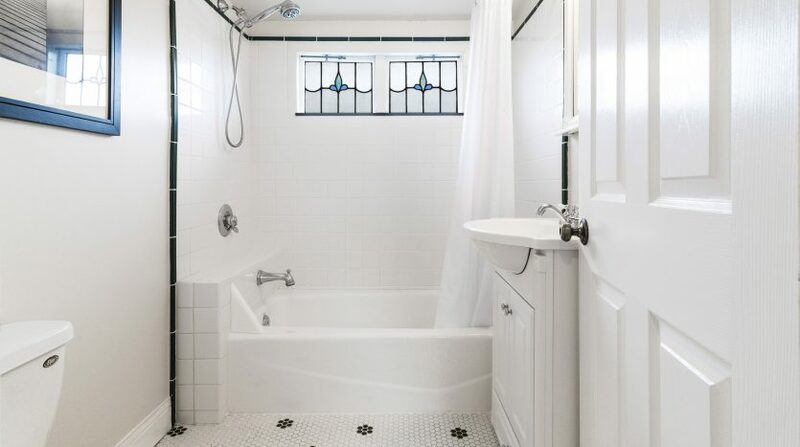 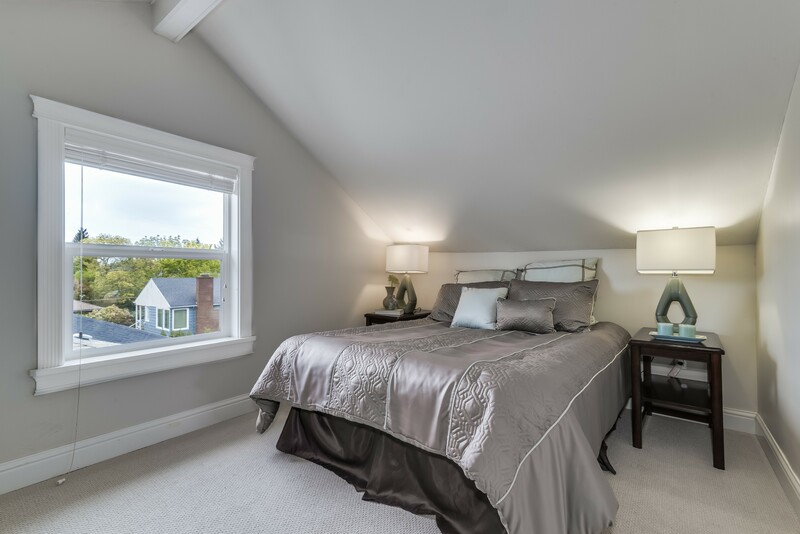 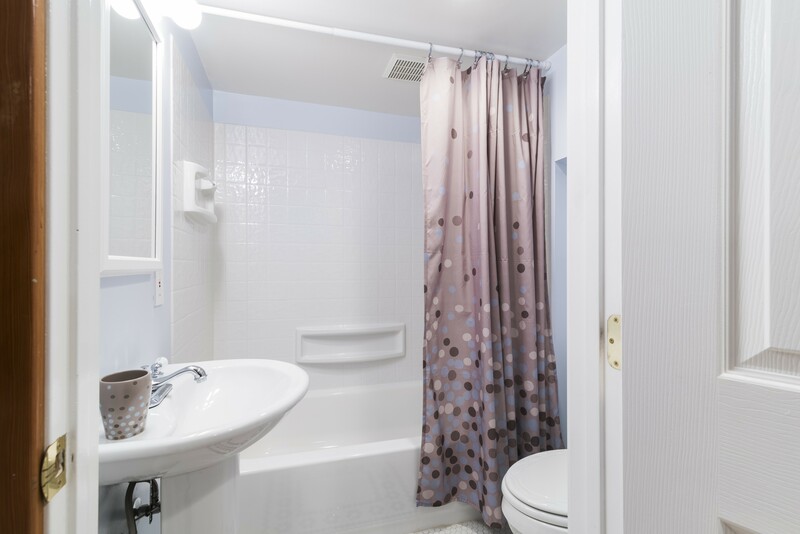 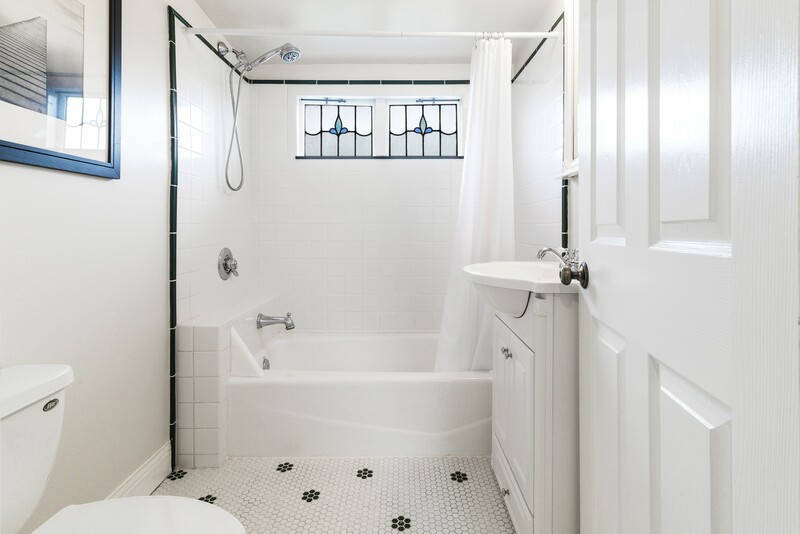 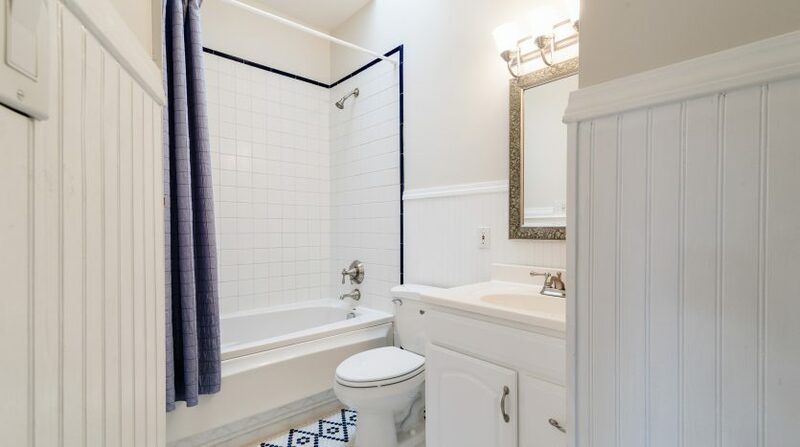 The upstairs contains two bedrooms and a full bathroom with vintage touches of hexagonal tile and leaded glass. 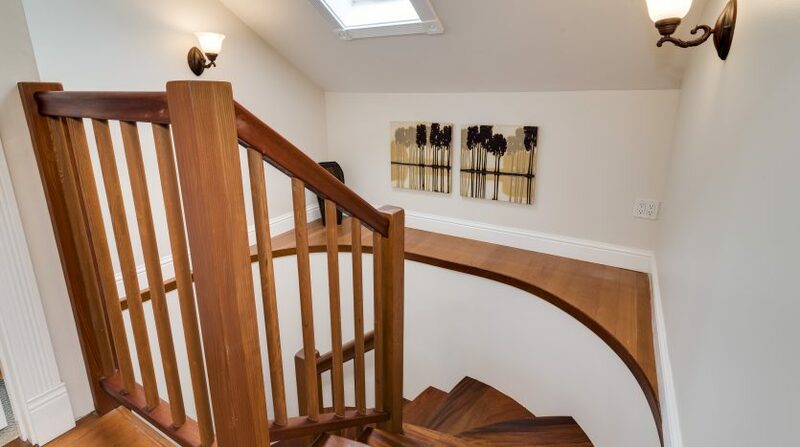 The fully finished lower level is truly impressive. 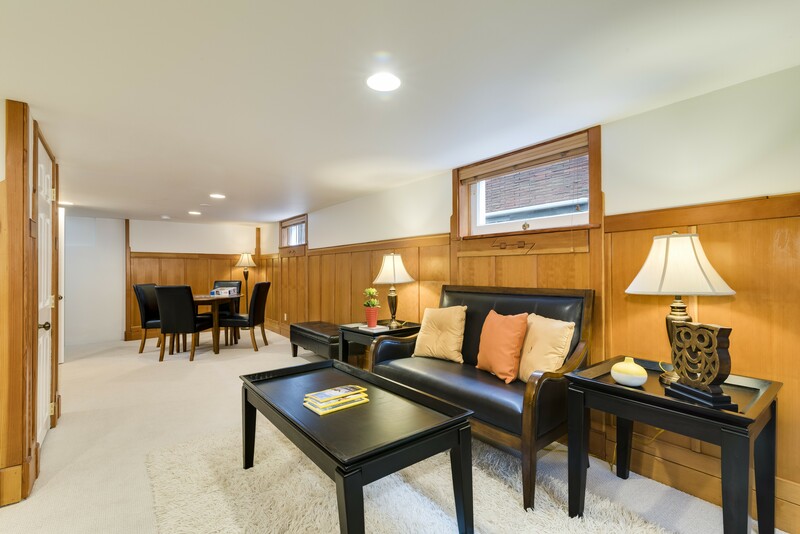 A large rec room adorned with natural wood wainscoting has plenty of room for a media area, game space, or whatever need suits you most! 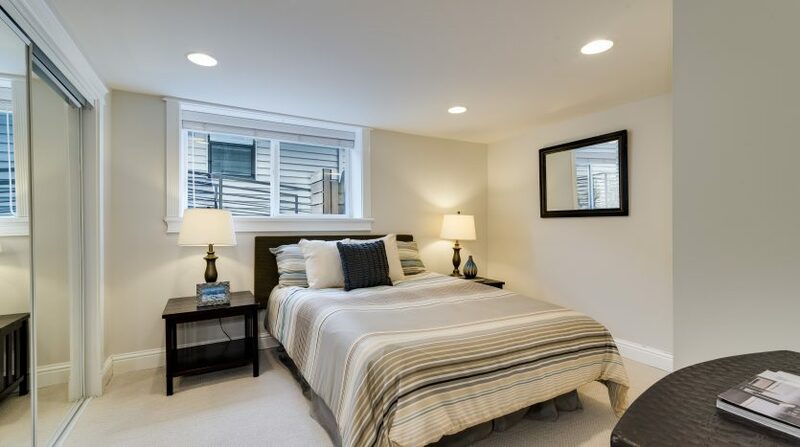 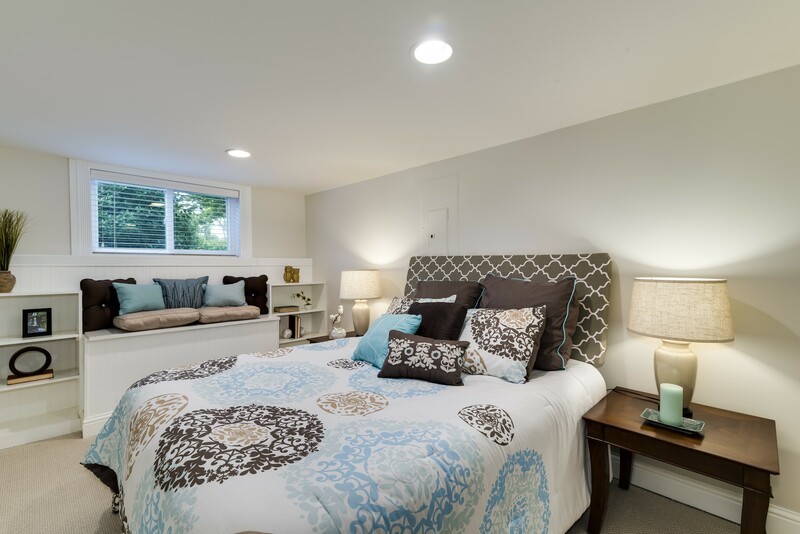 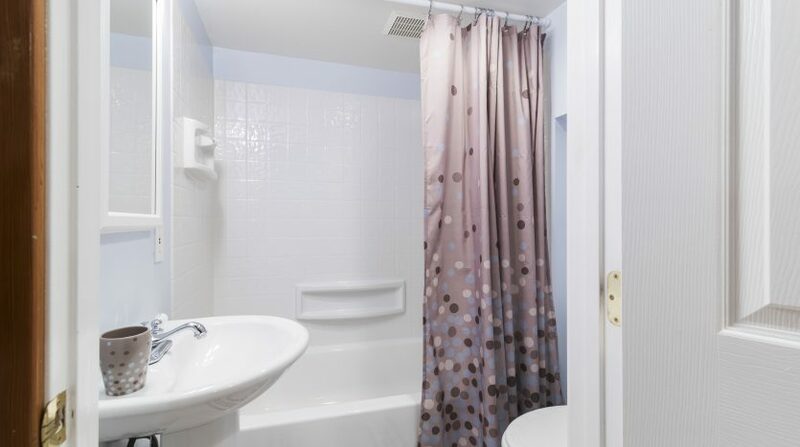 Two large bedrooms with great closet space grace this floor along with another attractively embellished full bathroom. 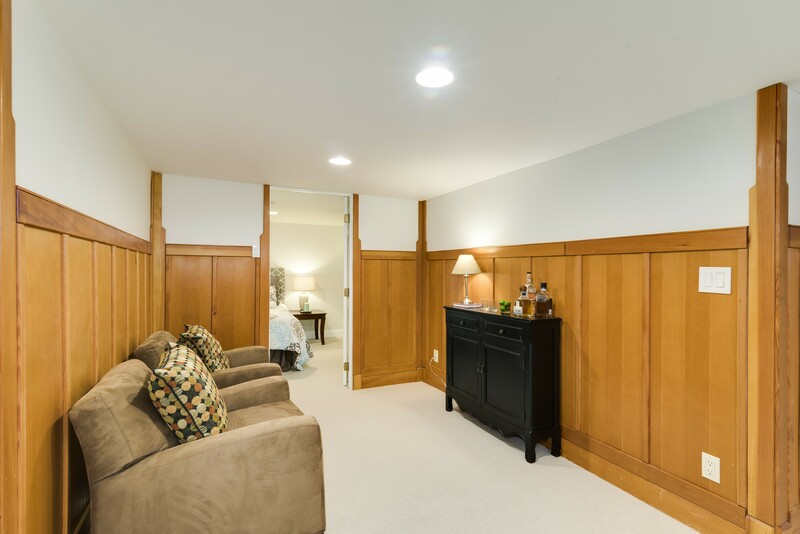 A perimeter drain and pump system keep the basement dry and brand new carpet and paint refresh the space. 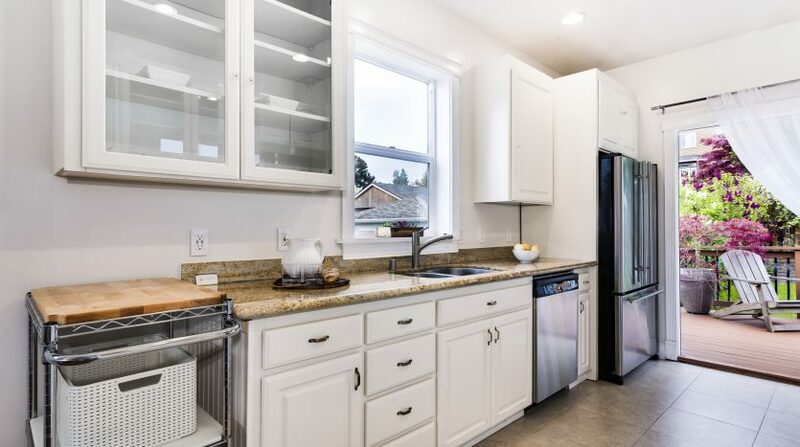 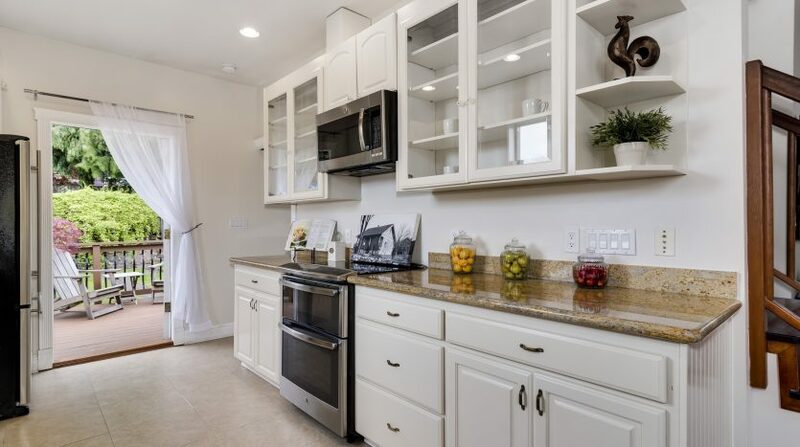 Additional bonuses of this home are two parking spaces off the convenient alley, cement board siding, efficient gas-fired radiant heat with zoned thermostats, fiber optic high speed internet, double paned windows and Hunter-Douglas 2 inch wood blinds throughout the house. 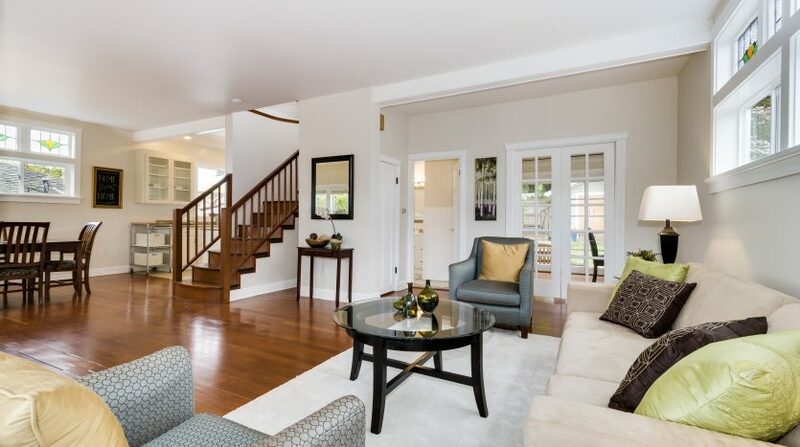 This house is truly turn-key, just move in and enjoy this extraordinary home! 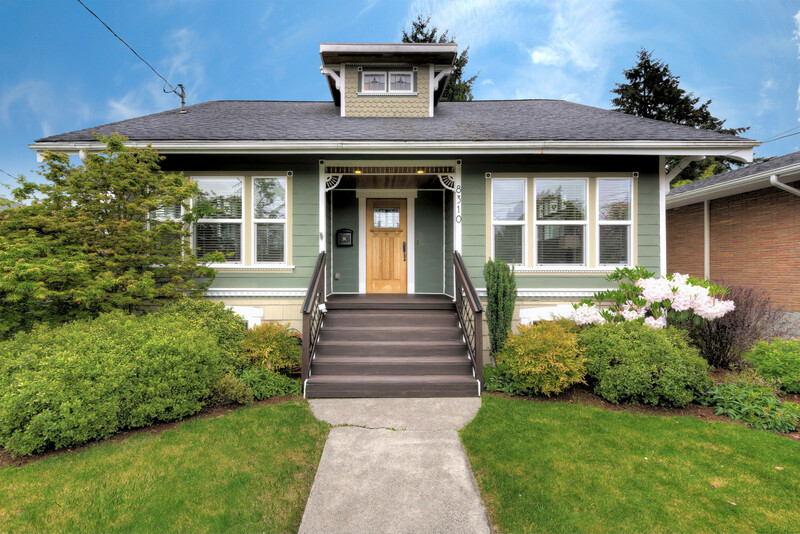 For more information on this house, visit it at www.athomeinballard.com or to see a 3D walk through tour click here!